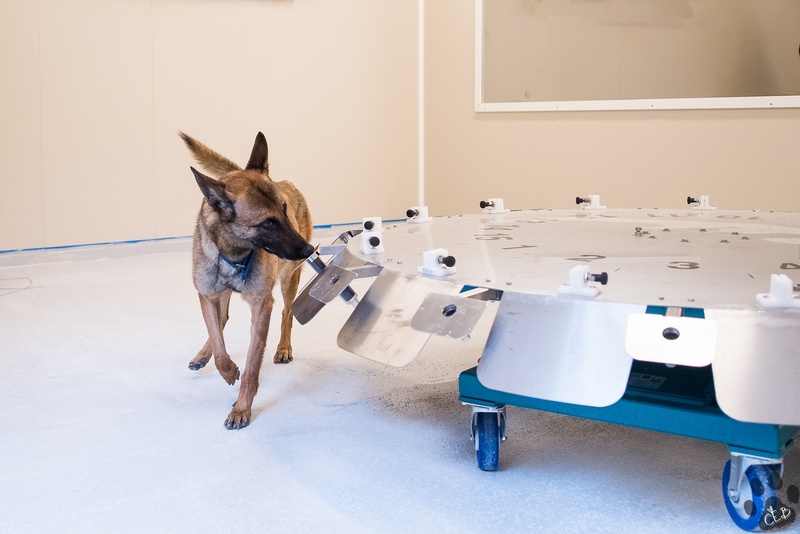 Fjellanger Detection and Training Academy is a center for research and development focused on the application of the sense of smell of dogs for detection tasks, primarily using remote scent tracing technology. The company has a group of expert people in the field of animal training, engineering, chemistry, and data analysis. Sensitive noses of trained dogs used to detect corrosion at oilplants in the North Sea. Fjellanger Detection and Training Academy is a center for research and development focused on the application of the sense of smell of dogs for detection tasks, primarily using remote scent tracing technology. The company has a group of expert people in the field of animal training, engineering, chemistry, and data analysis. They provide services to investigate the possibilities of using dogs for different applications, and support correct application of the dog’s sense of smell in different fields through handler education and quality control methodology. In principle, this means that FDTA conducts scientific research into new applications, develops the necessary tools for this purpose, trains dogs for these new applications, implements applications in new environments, and conducts all the necessary training of people involved. Besides this, it provides education for handlers and management to apply the dog’s sense of smell correctly for detection purposes in a manner that is quality controlled and quality assured.